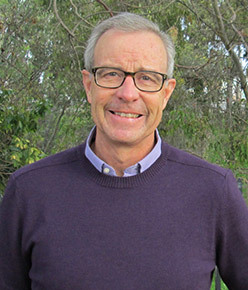 Bruce was part of the San Diego Union-Tribune team that won the 2006 Pulitzer Prize for national reporting and served as San Diego editor for Xconomy, a national life science and innovation news site. Bruce died in June 2018 after a brief illness contracted while hiking in Utah. A new opportunity is available for early career science writers and communicators: the Bruce V. Bigelow memorial Science Communications Fellowship at UC San Diego. This opportunity is a new full-time, paid, nine-month interdisciplinary science communications fellowship shared between the communications teams at UC San Diego Health, Jacobs School of Engineering, and Scripps Institute of Oceanography. The fellowship is named after Bruce V. Bigelow, an award-winning science and technology journalist. In keeping with the spirit of Bruce’s legacy, this fellowship offers early career science writers and communicators a diverse experience that will include opportunities to write for UC San Diego’s websites, press releases, blogs, magazines, and newsletters, produce multimedia pieces, and contribute to its social media presence. This opportunity will span a diverse set of intersecting fields that comprise of health sciences, oceanography, and engineering. Fellows will receive a $60,000 stipend and benefits for the nine months of their tenure. ← Will the government shutdown affect your research work?